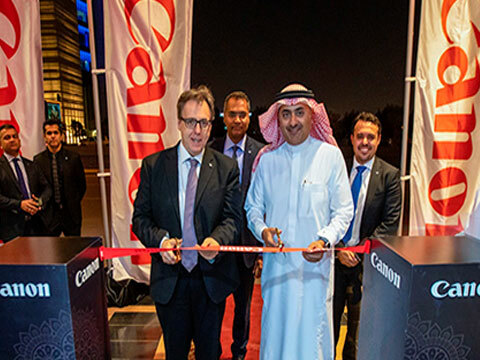 The opening was attended by senior Canon executives including Stefano Zenti, executive vice president developing regions business group, Canon Europe and Anurag Agrawal, managing director, Canon Middle East and Canon Eurasia, as well as Faisal Al Quraishi, chairman, AZAQ. Canon believes that establishing a long-term presence in Saudi Arabia adds value to the economy by contributing to the development of a sophisticated digital infrastructure mandated by Vision 2030 to attract investors and enhance the competitiveness of the Saudi economy. Canon Saudi Arabia will further expand Canon's business products and services across the Saudi market where there is a growing need for digital and other technology-based imaging services to support a more agile, robust, and efficient business environment. "Canon Saudi Arabia is strategically positioned to support the nation's ambitions of developing a competitive business environment in the region's largest economy, which is expected to grow by 1.8% this year and by 2.1% in 2020. We have invested in the market to provide better wider coverage and deliver a holistic approach to business solutions. "Whether these businesses are large corporations or small and medium enterprises, our innovative services and solutions are customizable to address the businesses' requirements and position them as leaders in their respective industries. This drives business competency to allow for economic growth and competitiveness of Saudi-based businesses on a global scale," said Agrawal. In addition to supporting businesses achieve their objectives, Canon Saudi Arabia will be investing in its employees and enhancing their skills and capabilities through extensive learning and development programs, with a focus on embracing and enhancing the talent of Saudi youth to support the country's Saudization drive. Through these initiatives, the company aims to grow to 300 employees by 2023. 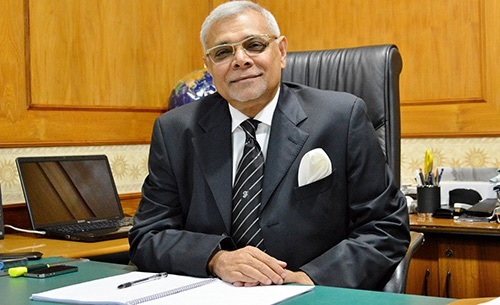 Al Quraishi said: "The joint venture and partnership between CME and AZAQ comes as a result of a long business relationship between Canon and Al Quraishi Group that is 50 years in the making; and this development comes as natural progression of our successful business ties. AZAQ sees this partnership as a contribution to the country's 2030 vision whereby Canon, a global brand, contributes to the Kingdom's transformation through its innovative technologies and solutions. Furthermore, the partnership will be highly committed to train young Saudi nationals as well as advance technology in private and government sectors alike." Shadi Bakhour, B2B business unit director Canon Middle East and general manager, Canon Saudi Arabia, said: "According to recent reports, The Kingdom's print market is estimated to pass the $7 billion mark in 2022, which is a testament to the growth opportunities available in this sector. Through our strategy of being closer to our customers in Saudi, we are able to meet this demand and offer services that address their challenges and creates opportunities for them. Our Managed Print Services for instance ensures efficiency, minimizes downtime, and saves on costs so businesses can focus on their core offering." Following Canon's corporate philosophy of 'Kyosei' which means living and working together for the common good, Canon Saudi Arabia also aims to establish a strong relationship with the Saudi society through environment initiatives and community welfare programs that give back and support various causes. 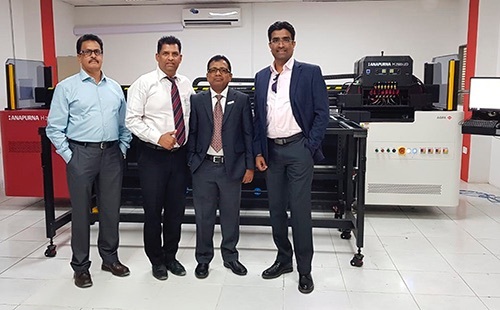 Domino Printing Sciences is investing into its Dubai regional office to now offer from there its Digital Printing Solution's division products to the Middle East and Africa markets. Historically this region has been supported out of Europe. Domino is investing into Dubai to offer a more localised service and a broader Domino product range to this region. 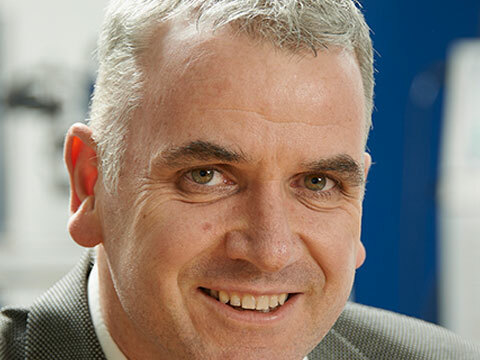 The General Manager for the office is Hans Schreuders since 1999 commented "I am really delighted that we are now able to offer a wider range of Domino ink jet products to our customers in this region". Speaking about Domino, Philip Easton, director, Digital Printing Solutions, said, "Our business was started in 1978 using ink jet printing for adding variable data printing capability integrated within the existing conventional printing process. The most common model today that comes under this category is the Domino K600i. This prints everything from alpha-numeric text to barcodes and 2D codes with traceability and brand promotional applications on a wide range of products from packaging, labels, tickets, security products and plastic cards as well as address printing for mailing. We recently launched a double white bar K600i providing a digital ink jet alternative to silkscreen printing. The K600i is already installed and successfully operating in the UAE so we already have a credible position in the market. The other main offering is our seven-colour ink jet digital label press, the Domino N610i based on UV-curable ink jet technology. The first generation, the four colour N600i press was initially launched at DRUPA in 2012 and then the N610i was unveiled the following year at Label Expo Europe in 2013. The product is now the global market leader in terms of unit sales for high productivity digital ink jet label presses. We decided that this is the correct time for us to invest and expand our business in the Middle East and Africa markets. We are planning to focus initially on the UAE, Oman, Bahrain, South Africa. Domino takes technical support very seriously and ink jet products require this to be available and our Dubai office will be better placed to provide our customers a higher level of service." He further added, "Through our Dubai office, we will be aggressively promoting our N610i label press. We continue to enhance the N610i capability. It is renowned for printing short and medium run length self-adhesive labels, following the release last year of the Domino UV90 UV-curable ink-set, we have now added the capability to print also onto shrink sleeves. This is unique for ink jet and we have done an enormous amount of qualification work. With class leading ink jet products, we are excited about our growth plans in the Middle East and African region and expect to sell two presses in 2019 with strong growth expected from then on." AR makes print interactive. In such a scenario what are the opportunities for those that choose to invest in such a technology? AR is about showing information in the context of a physical object – so all we are talking about is bridging the on- and offline world and meeting the needs of today's customers. Advertising sales, AR opens a whole new market for advertisers to get their brand to the consumer in a new way. Thinking along the lines of recipes and 'how-to's' AR removes many steps from the process. Thinking about training environments, people can consume training content in new ways i.e. see videos, interact with quizzes etc. This leads to competitive advantages of those investing into AR because they can generate a more immersive experience in a real world environment. In addition built-in analytics allow – for the very first time – to really "measure" the impact of a printed campaign. So Augmented Reality enables expanded content and direct interaction with the customer. It is a successful response to our increasingly interconnected world, allowing to deliver a greater variety of creative prints, labels and packaging. What is the use and purpose of AR in the printing and packaging sector? Print has always limitations – with high quality print you are able to get attention of people but the content is always "static" and typically space is limited. AR can help in making print interactive with linking digital content with a real world object, you can make it interactive and open a two-sided communication channel and you are not restricted by the size of a label or the number of pages of a printed product. Especially for FMCG or similar goods: these companies are lacking direct access to their customers who are buying their goods, they typically need retail stores or similar. With AR they have the opportunity of offering information, loyalty programs, sweepstakes, vouchers, … without involving retailers as this is linked to the context of the product itself. How can companies create a competitive advantage and bringing in new revenue using AR? Although AR itself is not really new it still is and "feels" fairly young and fresh and has the wow factor to attract new and existing users and when the AR content provides the right value it will further attract repeat usage. AR offers new opportunities for print houses to add new revenue streams. Without the necessity of becoming a digital agency they are now able in offering additional services which are directly linked to their core business. A label printer can now offer way more opportunities of presenting information to consumers. Mail houses or letter shops have already started to offer printing services and become a one-stop-shop for direct mailing. With AR they can now offer additional services to their customers and become the "trusted advisor" for their customers. The low entry point for Direct Mail houses enables them to move closer from printer only to agency like services. So it helps them on their transformation of a print house which is typically challenged with high competition on pricing – whereas adding new opportunities (like finishing, AR, and so on) really offers the opportunity to stand out on the market. How can companies get equipped in order to fulfill those specialty print jobs using AR? How do I communicate that a print is interactive? What content should be provided? How do I add an extra benefit to AR? All of this is no rocket science but it needs some creativity and the willingness to try out things. The content itself can be changed and adopted without the need of doing reprints or anything similar – so the investment is really small. But there needs to be an understanding of how the final printed product (no matter if it is a book, a brochure or a label) is used how the consumers of these products are using it and what they expect to do. How can companies make sure they deliver a truly immersive experience? AR itself is just a different "channel" to communicate with people – so typically you have the advantage at the very beginning of a costumer (or reader) journey, because AR triggers still a "wow effect". But then you need to think how people use it twice, which information they can find, and so on. So all in all, it's about content – very similar to any other marketing tool – about telling a personal story that catches the attention and adding value either to the original print which triggers the AR content or for the user consuming the data (like exclusive content, chance to win, additional information, and so on). Using AR just for additional advertising alone will not bring repeat usage – the AR experience has to be well informed and printed content and the experience itself needs to be intuitive. Does your company offer products that cater to the AR segment? 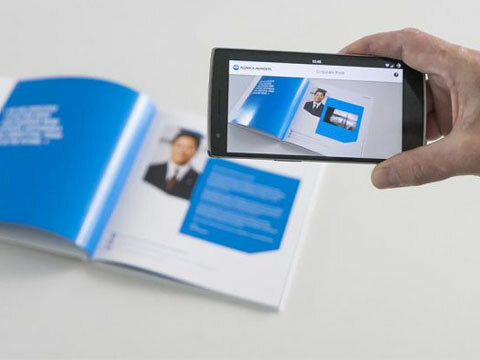 Konica Minolta has launched end of 2018 it's AR product genARate which is – for the first time – covering the needs of the print and packaging industry to make use of AR. Since decades we are trusted partner in the field of offering print services and now we are using this expertise we have gained to offer a one-stop-solution for AR. You don't need to be a programmer or a designer to be able to create AR content. You don't need to set-up up any IT infrastructure – all you need is a web browser and the willingness to expand your business. What sort of impact will AR have on the collective printing and packaging industry? If done properly AR has the power to be a complete game changer for the printing and packaging industry. This is true for the buying experience in a shop but also for engaging with the product when being at home. It will help to understand better the content of a book or help the consumer handling a product. We will get to a stage where consumers are expecting 2D content to be augmentable – other industries are already showing great success with using AR. So it's the right time right now to start engaging with readers and consumers right now. Dubai SME, the agency of the Department of Economic Development in Dubai mandated to develop the small and medium enterprise (SME) sector, and Jumbo 3D Manufacturing LLC, part of Jumbo Group, have signed a Memorandum of Understanding (MoU) to drive awareness about 3D manufacturing technology. It should also be noted that on October 2018, Jumbo Group has unveiled a detailed 3D manufacturing strategy with the launch of its latest company Jumbo 3D Manufacturing LLC. During the same time, the Group inaugurated a 3D application development centre in the Middle East at an event which was attended by Saeed Al Gergawi, director of Dubai Future Academy at is newly launched facility in Jebel Ali Industrial Area. Abdul Baset Al Janahi, CEO, Dubai SME and Arvind Agrawal, CEO, Jumbo Group, signed the MoU in the presence of senior dignitaries from both organisations. The partnership will allow Dubai SME to benefit from Jumbo's 3D technology and solutions and provide members with ongoing training and mentorship. Dubai SME members will have access to Jumbo's 3D printing facility to manufacture parts and apply 3D printing technology across target industry segments, including architecture, healthcare, education, automotive and other sectors. It will also help potential SME members to incubate 3D printing business with Jumbo. Abdul Baset Al Janahi, CEO, Dubai SME, said: "The Dubai 3D Printing Strategy launched by HH Sheikh Mohammed Bin Rashid Al Maktoum, Vice President and Prime Minister of the UAE and Ruler of Dubai, is transforming the manufacturing process in many sectors. We are proud to partner with Jumbo 3D Manufacturing for a deeper understanding of how 3D printing can be leveraged to enhance productivity. It's a significant step in line with our efforts to embrace tech innovations and Industry 4.0, and our members stand to gain substantially from this transfer by way of technology transfer opportunities." Al Janahi added that Dubai SME is committed to collaborate with government and private entities towards adopting digital and smart solutions that would help accomplish Dubai's goal of a sustainable and knowledge-based economy. "Our collaboration with Jumbo Group is also part of our strategy to enhance the competencies of our national enterprises, advancing them to higher levels of f productivity and global competitiveness." Arvind Agarwal, CEO, Jumbo Group, said: "We are delighted to partner with Dubai SME to share our technical know-how and expertise with their members and showcase the potential of 3D printing technology to small and medium business enterprises in the emirate. He added: "When we established Jumbo 3D Manufacturing LLC in 2018, our goal was to help support and strengthen the UAE's plans for 3D manufacturing and offer guidance and mentorship to leverage 3D printing to any business looking to implement the technology – and we are pleased to be able to fulfil this vision through Dubai SME." 3D printing technology can be applied across several different sectors, and Jumbo plans to eventually cover a gamut of services, including 3D plastic printing, 3D metal printing and finally 3D construction printing. Jumbo uses state-of-the-art 3D printing technology to boost the demand for 3D manufacturing in line with UAE and Dubai's vision to become a global hub for 3D printing by 2030. At the next SGI 2019 show which will be held in Dubai from 13 till 15 January 2019, Graphic International (GIC), Mutoh's only official distributor for UAE, Kuwait, Bahrain & Oman, will present the latest Mutoh wide format digital printing and sign cutting equipment. GIC will present ValueJet 626UF A2 size 6-colour (CMYK, White, Varnish) DIRECT-TO-OBJECT FLATBED LED UV PRINTER that can print on wide variety of solid materials and objects up to a thickness of 150 mm (5.9"). The optional "rotary system" enables the ValueJet 626UF to print on cylindrical objects with a diameter up to 120 mm and a length of 360 mm. Offering a bed size of 594 x 483 mm (19" x 23.4"), the printer is targeted at short-run personalization of gifts & gadgets, packaging prototypes, awards, specialty industrial items, labels, decals, signs, etc. Other MUTOH products you can witness on Stand 7D-107 in Hall 7, are the ValueJet 1638WX High Speed Sign Printer, DrafStation RJ900XG 42" Compact Dye Sublimation Printer and the ValueCut VC1300 Professional Sign Cutting Plotter. Utilizing Mutoh's new DS2 series dye sublimation inks, the ValueJet 1638WX model is destined for digital transfer applications: soft signage, apparel and gadgets. Integrating i.a. a newly developed mainboard allowing faster data communication and data processing as well as advanced print automation features, the X-series printers are specifically targeted at volume users who at the same time put constant high quality and image definition on top of their wish list. Featuring a high level of operator comfort and print production efficiency, the compact DrafStation RJ-900XG incorporates a piezo drop-on-demand print head offering print resolutions up to 2880 dpi. The print head is capable of firing drops from 3.4 pl up to 49.5 pl. Especially the capability to fire larger drops is essential for speedy dye sublimation applications compatible with lower print resolutions. The Mutoh ValueCut VC1300 cutting plotter can cut a broad range of sign making materials ranging from self-adhesive PVC to sandblast, up to a maximum thickness of 0.8 mm. The ValueCut drag knife cutter series has been designed with home, office and professional users in mind and is available in three models: ValueCut 600 (media range: 50 - 770 mm) and ValueCut 1800 (media range: 300 - 1900 mm). The cutting force up to 600 g guarantees optimum cutting results on a wide range of materials. Cutting speed is adjustable up to 1080 mm/s at a maximum acceleration of 3 G, which enables a cutting speed up to 1530 mm/s and an acceleration of 4.2 G in diagonal movements. Enabling kiss-cutting, contour-cutting and through-cutting, the new machines are targeted at traditional lettering jobs as well as automated print-to-cut applications. ValueCut VC1300 will cover a wide range of applications, such as window displays, vinyl stickers, vehicle graphics, car stickers, point of purchase signs, safety signs, etc. Blue Rhine, the Gold sponsor for SGI Dubai 2019, is one of the leading distributors of all signage and advertising materials in the GCC. Along with the major attractions in the digital printing industry, Contra vision is among the top suppliers which whom they have been associated for many years. Performance HD White on Black from Contra vision delivers ravishing Print images in High Definition. This polymeric calendared vinyl is a white on black 40% transparency (60/40) perforated window film for one-way vision graphics. Its unique features include World's smallest-ever perforations which create minimal disruption to the graphics. This result in stunning High definition quality images with much greater detailing than ever before, also providing a smoother see-through from inside. The 1mm diameter holes are 60% smaller in area than standard one-way vision products. This break-through micro perforated window film delivers the clearest and sharpest images to one side and from the other a noticeably improved see-through compared to any other perforated films available. The 180micron thick German-engineered polymeric calendared vinyl is Formed by laminating white and black layers together to give optimum consistency and printing performance. The product is REACH compliant, avoiding the use of potentially harmful substances. The polymeric formulation ensures minimal shrinkage after installation to avoid dirt-attracting adhesive from becoming exposed. The clear, solvent acrylic adhesive is optimised to give easy, low temperature application, reliable adhesion and quick and clean removal when required. The refined texture and superior appearance will make your display stand out. The refined texture and superior appearance give a new dimension to the earlier perceived image quality of perforated window films. Please Visit the Blue Rhine stand for more information on this amazing perforated window film. Stand Details:D-59, D74, HALL-7, DWTC Dubai. Ricoh has acquired German software provider ColorGate in a deal worth around €10m (£8.7m). 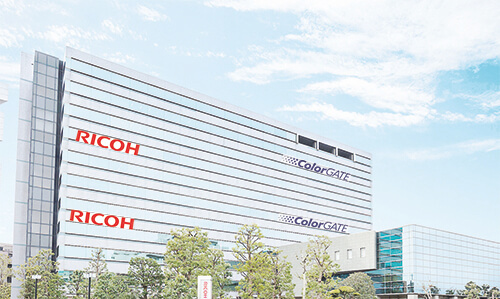 Ricoh said the acquisition was intended to strengthen its industrial printing business and that it was particularly attracted by ColorGate's specialism in colour management. The transfer of shares is expected to be complete on 30 November. ColorGate previously collaborated with Ricoh on the new Pro T7210, the manufacturer's first wide-format UK flatbed, which entered UK markets in September. Priced at £200,000 in full configuration, it makes use of a RIP from ColorGate. Discussions over a potential acquisition began around six months ago. A Ricoh spokesperson said: "There are obvious business synergies in the activities of Ricoh and ColorGate. Leveraging the breadth of Ricoh's market reach and ColorGate's industrial software competence was key in this decision. Software is an essential part of the total solutions Ricoh is committed to offering customers and partners in this business area. "In February this year, Ricoh announced its growth strategy plan, Ricoh Ignite, which sets out its intention to reinforce its value offering by expanding its printing technology portfolio. The investment in ColorGate is the latest part of this plan. "By combining ColorGate's proprietary software technology with our own industrial printers, Ricoh will provide solutions covering the whole printing workflow from pre-press to post-press." Ricoh's next move is to fully integrate ColorGate into its offering, so the manufacturer becomes a "one-stop-shop for analogue to digital conversion". ColorGate's brand identity will remain following the completion of the acquisition. Speaking about the investment, Rajesh K Kutty, managing partner, Col.Art, commented, "We were looking for a hybrid printer which we could print on rigid substrates as well as on roll-to-roll. In addition, whenever I saw some prints, printed on a flat media or substrate I used to wonder how the quality could sustain without the lamination. When I made a visit to SGI Dubai I saw a sample and was told that the sample was printed directly with UV process. This is one of the reasons I went for the machine. Again, the curing is UV based so the process is faster. Since, I am catering to retail industries; the customers have frequent requirements with changes. The machine allows me to eliminate the time spent on laminating and mounting. It can print on any substrate that is less than 5cm, so all these multi-function features were very attracting." He further added, "Instead of going for four smaller machines it's better to go for a higher end machine from an excellent brand. Agfa has a great reputation for product innovation and quality in the industry. This made us to directly select the product. The parent company gave us a good deal for this machine and even the machine was in our budget. We wanted to invest on a reliable source when spending more than half a million. In addition, it is always understood that there is no good time for investment. The goals are not shorter and I believe that in the next 4 years this machine will yield good returns. Earlier machines were having bulb curing but this machine is having LED curing which is an added advantage." Talking about the product, Rajesh Patki, AGFA Middle East FZCO, said, "We will be using Col.Art facility as our local demo centre to showcase all the required samples and demos to perform the prospect around our region. Also as AGFA demo unit, we will display the samples produced by Agfa printers. Agfa Dubai office welcomes Col.Arts & team to Agfa family." Kutty also mentioned by having this Agfa printer, they are very much gained and comforted by down time of printing on vinyl and mounting on rigid surface, where in here it is directly on the rigid surfaces. Competition that sustains on margin cuts isn't sustainable. In the end, those with fatter wallets will survive. To be able to survive competition a print shop needs to innovate and rise from the clutter to distinguish itself from the rest. Reaching out to new market niche is one such way. Participating in SGI Dubai can help the exhibitors to expose their brand and business to a new market that may have not been accessible to them before. Do you think that the printers/brands have to adapt to the latest technologies? How to stay in front and embrace the change? ? For print shops to stay relevant, they need to make capital investments in the latest machines that serve their customer's purpose. Signage and specifically digital signage have huge opportunities in the region. The consumer consumption pattern for digital media has grown rapidly here and marketers are looking at fully optimising their communications to stay ahead of the pack. That's not to say that print communications have mellowed down completely. The brand-new, next-generation, single-pass EFI Reggiani BOLT textile digital printer from Electronics For Imaging, Inc. made its debut recently during an open house event at the EFI Reggiani facility in Bergamo, Italy. The advanced, ultra-high-speed digital single-pass printer has the potential to revolutionize the textile printing market, providing users with high uptime and reliability, outstanding performance, superior printing uniformity and accuracy, long printhead life and minimal maintenance needs. The EFI Reggiani open house has created huge interest in global textile market opportunities, with nearly 300 customers and journalists attending to see the new BOLT in action. 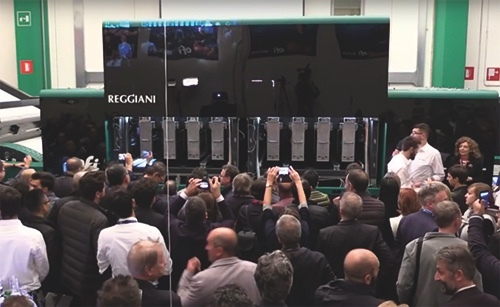 "The innovative development of our new single-pass printer comes from Reggiani's speed of innovation in digital textile printing, its 70 years of history, and our proprietary knowledge of high-volume analog rotary printing," said EFI Reggiani vice president and general manager, Adele Genoni. "Our EFI colleagues' proven, worldwide expertise in single-pass technology and, most importantly, EFI Reggiani's serious commitment to listening to and addressing our textile customers' needs, have allowed us to achieve incredible results with our newest print technology. The EFI Reggiani BOLT re-writes the rules of digital textile single-pass printing, delivering superior throughput and quality with a highly competitive return on investment for customers. We are excited to bring this technology to our customers and see their businesses succeed and grow." HP Inc. unveiled a range of new services and solutions to help businesses gain more flexibility and scale. The security technology and enterprise expertise includes a powerful new HP FutureSmart firmware release for HP Enterprise-class printers and MFPs, Immersive Analytics Service and the integration with both McAfee Security Information and Event Management (SIEM) and Microsoft System Center Configuration Manager (SCCM) – an industry first for print devices. 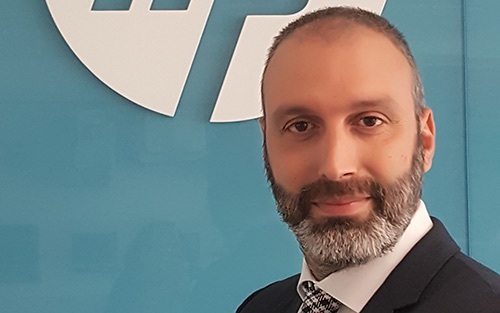 "Empowering customers to take full control of their work environment is central to our office reinvention strategy," said Tony Bssat, head of printing Middle East & East Africa at HP. "The services and solutions unveiled today provide a step forward in seamless intelligence and industry-leading security solutions." Microsoft SCCM integration: Strengthening HP's industry-leading security arsenal, HP is the first print OEM offering integration with Microsoft SCCM. This integration enables IT management to use one tool to configure printer security in concert with all other SCCM-connected devices on the network. McAfee SIEM integration: To expand threat monitoring, HP has also achieved certified integration with the SIEM tool McAfee Enterprise Security Manager. McAfee SIEM provides actionable intelligence to prioritise, investigate and respond to potential malware attacks on HP printers. Immersive Analytics Service: Leveraging HP Labs' advances in visualisation and analytics, this new component of HP's Business Intelligence Services provides customers with a more immersive view of the key driving factors in their print environment. Through this in-depth engagement, HP consultants can help customers quickly pinpoint behaviors to accelerate digitisation, efficiency gains and risk reduction. 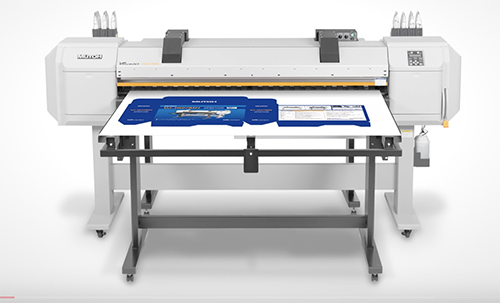 The entry-level hybrid roll-to-roll/flatbed is a 1.6m system intended to directly replace the ValueJet VJ-1617H in Mutoh's portfolio and sits alongside two other hybrid models, the VJ-1626UH and the VJ-1638UH. It is available immediately. The flatbed uses Mutoh's own MP-31 resin-based inks that are dry immediately and comes with two rigid tables as standard. Prices start at €24,995 (around £22,000). "Our hybrid printer addresses the needs of people wanting to move to direct-to-rigid printing but who do not have the budget nor the volume to equip themselves with a true flatbed," said Mutoh marketing coordinator Dirk Devroye. "With our entry level hybrid VJ-1627MH, existing roll print providers can optimise their production and widen their range of application possibilities. It is the only printer on the market offering hot air technology capable of printing directly onto the widest range of rigid and roll substrates. "The new printer is equally suited to existing sign and display print shops for the production of both indoor and long term outdoor prints, as well as to graphics companies looking for a digital solution for proofing or short run production of packaging prototypes or customised labels, even for industrial printers specialised in thermoforming." It can run either CMYK or CMYK plus white as standard an, according to Devroye, is well-suited to packaging prototyping, fine art, rigid blanks, banners, signage, thermoformation and shrink applications, The stretchable and shrinkable MP-31 inks use a corn-based solvent and are designed for applications such as car wrapping and will preserve the "natural texture and look" of substrates. The ValueJet VJ-1627MH offers a 20% speed boost on its predecessor, offering up to 12sqm/hr in CMYK with resolution up to 720dpi. Automated media height measurement and semi-automated cleaning cycle capabilities have also been added. With speedy switching between rigid and roll, the five-colour machine can be equipped with a 30kg take-up system to roll up finished prints.